The previous article saw the development of Jules Bastien-Lepage‘s distinctively realist paintings during the 1870s, from his early Academic style to that of rural naturalism. Over that period, he also developed a successful line in portraiture, attracting some of the great and good, and others who were just sufficiently rich and did not care for the growing business of photographic portraiture. Among his best-known portraits are two of the popular stage and screen actress Sarah Bernhardt (1844-1923). 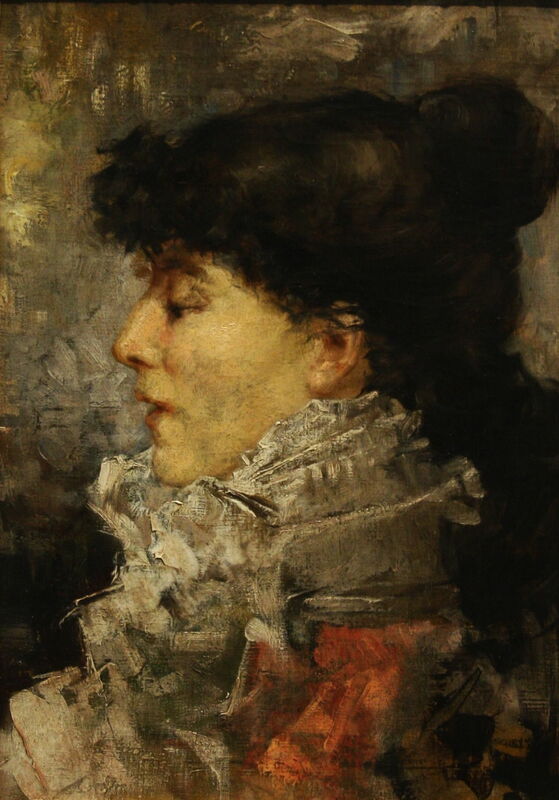 Sarah Bernhardt (1878) is a sketch in oils, with vivacious brushstrokes particularly in her exuberant clothing. This painting is now in Stockholm. 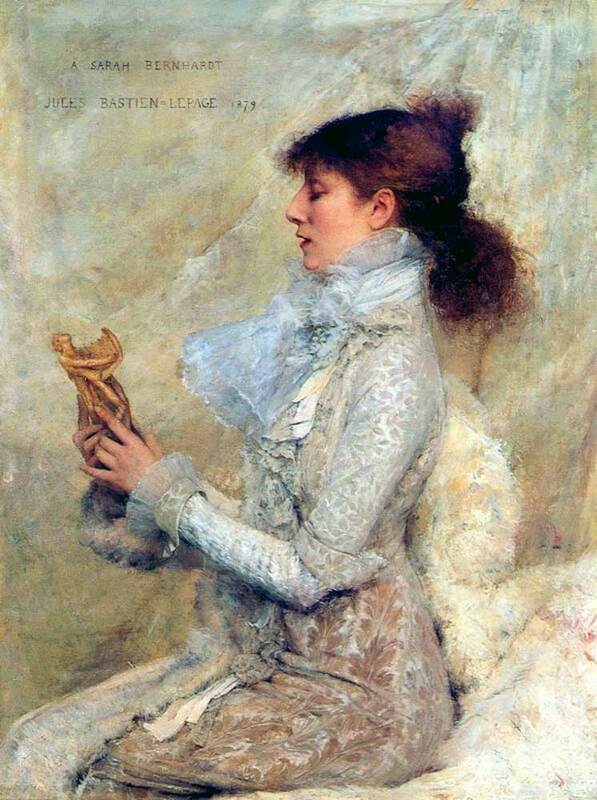 The finished work, Portrait of Sarah Bernhardt (1879) in San Francisco, shows the actress contemplating a small sculpture – an appropriate act as she was herself quite an accomplished painter and sculptor. Bastien-Lepage was not as constrained in his use of colour as Whistler had been in his Symphony in White, No. 1 (1861-2), and used a range of subtle shades, patterns, and textures to great effect. This brought the recognition which he deserved, and the Cross of the Legion of Honour. 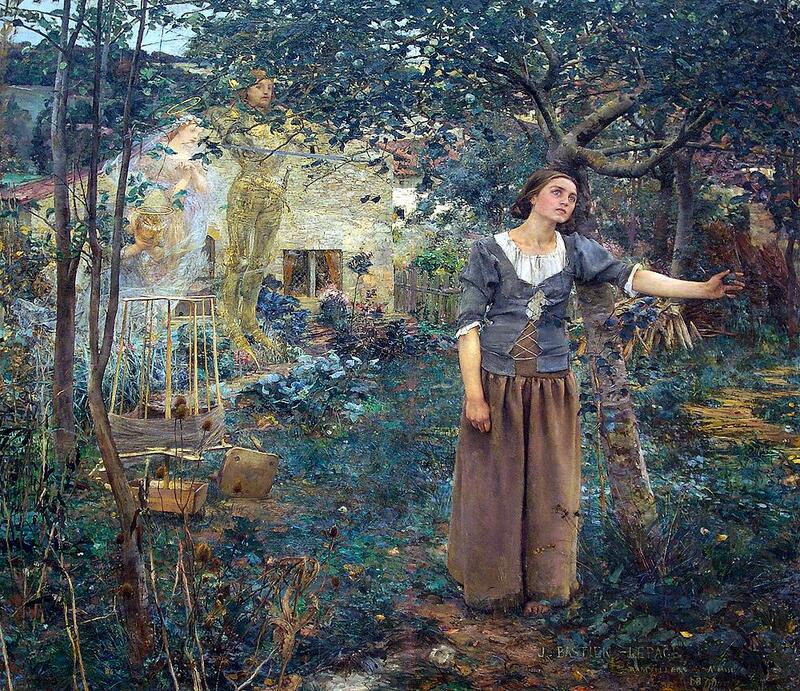 Bastien-Lepage went back to paint one more history painting, possibly his finest of all, in Joan of Arc (1879). Created during those years of revanchism, when many in France were calling for revenge against Germany after France’s ignominious defeat in the Franco-Prussian War, its patriotism is made the more subtle by mystical elements and its overwhelmingly rustic setting. It shows Joan receiving her first call to arms against the English, in her vision of 1424. She is watched by Saints Michael, Margaret, and Catherine in semi-transparent forms, having been symbolically winding the thread of fate. 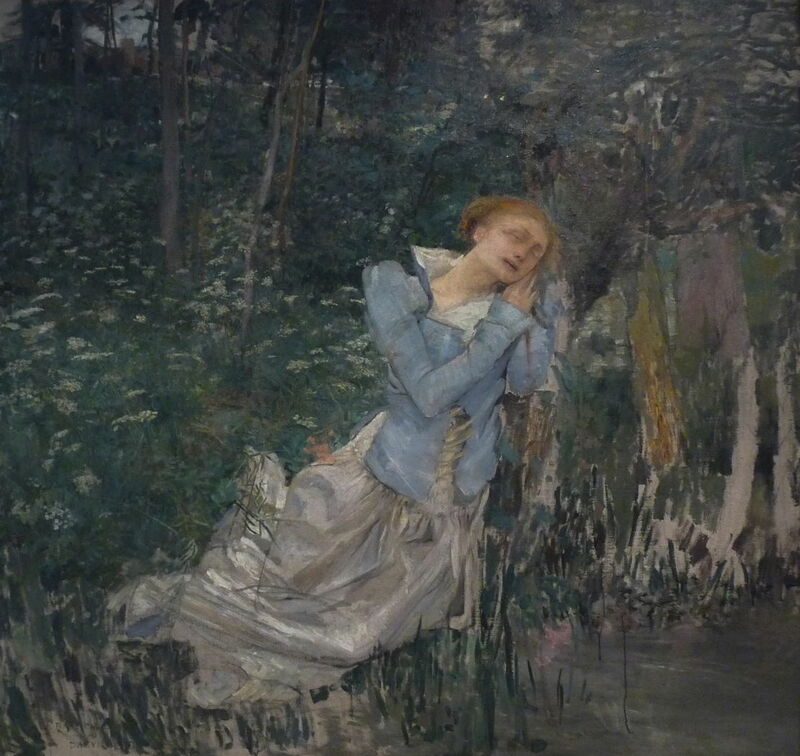 Jules Bastien-Lepage (1848–1884), Ophelia (unfinished) (1881), oil on canvas, dimensions not known, Museum of Fine Arts of Nancy, Nancy, France. Wikimedia Commons. Bastien-Lepage moved on to another grand woman of tragedy, Ophelia (1881) from Shakespeare’s play Hamlet. This unfinished painting shows her in anguish, as if the merest movement would see her body slide into the water. By this time, while he was travelling in Italy, his health was starting to deteriorate. Jules Bastien-Lepage (1848–1884), Marie Samary of the Odéon Theater (c 1881), oil on canvas, 52 x 44.8 cm, Cleveland Museum of Art, Cleveland, OH. Wikimedia Commons. Among his portraits of this time, Marie Samary of the Odéon Theater (c 1881) shows a very successful Vaudeville performer from a theatrical family, who lived from 1848 to 1941. Jules Bastien-Lepage (1848–1884), Poor Fauvette (1881), oil on canvas, 162.5 x 125.5 cm, Kelvingrove Art Gallery, Glasgow, Scotland. Wikimedia Commons. 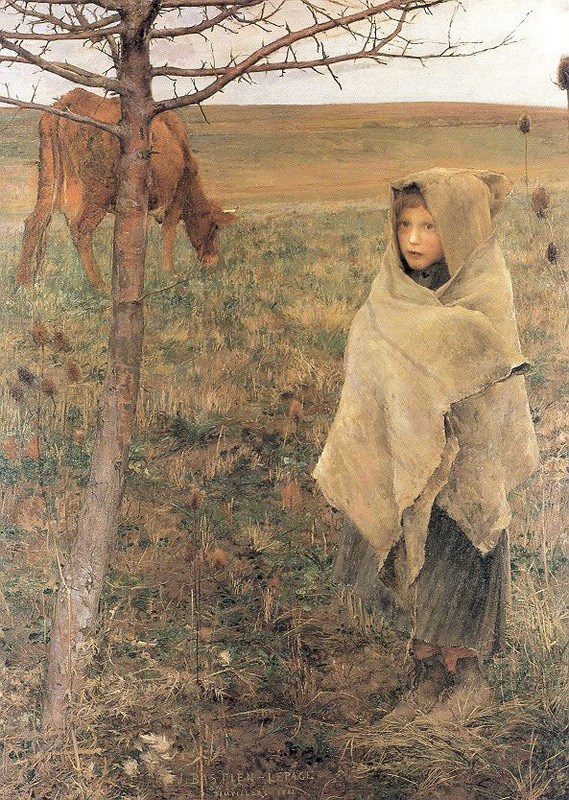 Bastien-Lepage continued to paint the rural poor, here Poor Fauvette (1881), with its curious composition of the cow cut in half by a young tree, and the little girl wrapped in an old and filthy blanket. Jules Bastien-Lepage (1848–1884), Roadside Flowers (The Little Shepherdess) (1882), oil on canvas, 132.1 x 88.9 cm, Private collection. Wikimedia Commons. 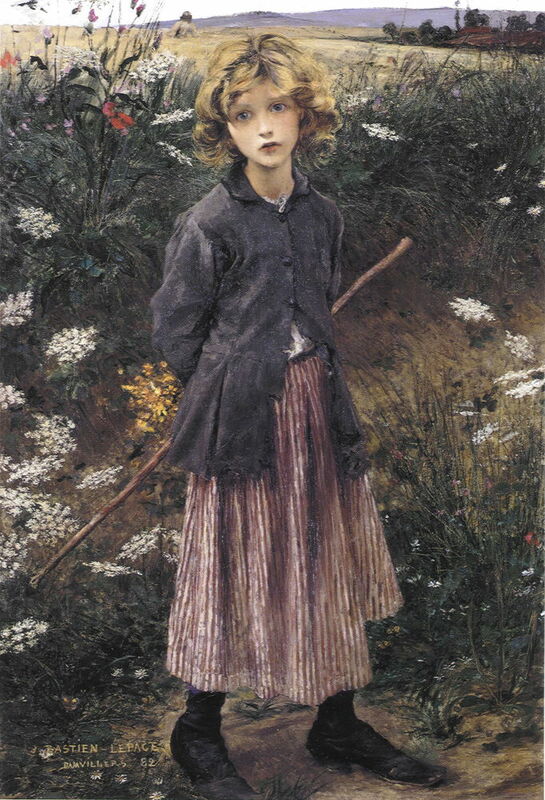 Roadside Flowers or The Little Shepherdess (1882) is more romantic, the wide-eyed girl blossoming among the beauty of weeds. 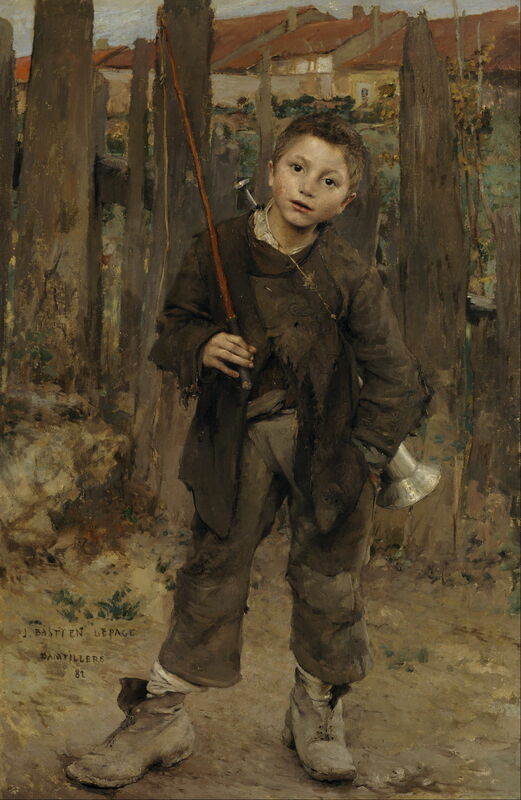 Pas Mèche (Nothing Doing) (1882) is another sensitive portrait of a boy too poor to secure his boots with string. By 1884 his health was collapsing fast. A visit to Algiers to try to recover was unsuccessful. He returned to Paris, where he died in December, while still planning a new series of rural paintings. By an odd and more tragic coincidence, his friend and pupil Marie Bashkirtseff, a Ukrainian, died just over two months earlier, from tuberculosis. She was only 25. 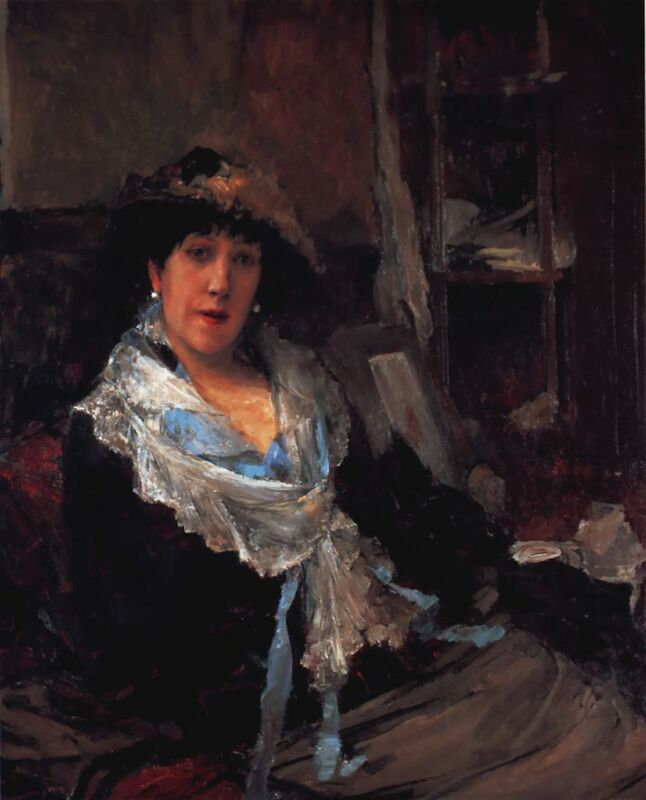 Among the painters covered on this blog whose work was influenced by Jules Bastien-Lepage are Harriet Backer, Adrian Scott Stokes, Marianne Stokes, George Clausen, Giuseppe de Nittis, Julian Alden Weir, Akseli Gallen-Kallela, Joaquín Sorolla y Bastida, Émile Claus, and of course Claude Monet. I will look at Marie Bashkirtseff’s work in a future article. Appreciation by William S Feldman – strongly recommended. Posted in General, Painting and tagged Bashkirtseff, Bastien-Lepage, Fry, Impressionism, Monet, painting. Bookmark the permalink.